Before you listen to this piece, please take a moment to read this short description which will make sense of what you hear. The piece opens on a bright and sunny day in Las Vegas with the show band kicking off in high gear but then, a lone piccolo ushers the arrival of something very bad on the famous Vegas strip. Back to the band and a relaxed rhumba. Then Morse Code signals approaching doom. The house band finishes their set and heads for the bar. Godzilla appears, tourists scream, and the band calls for Godzilla to Mambo. He then demolishes everything in his path, cars, buildings, he even stomps a tiny terrier and then various celebrities, Frank Sinatra, Wayne Newton and Liberace. An army of Elvises (Elvi) appear in the distance, marching through the littered streets. The Elvi attack using bombers and missiles. The Sphinx sits outside The Luxor hotel and seduces Godzilla who instantly falls in love and begins to tango with her. As they dance, the Elvi slowly regroup and launch a ferocious volley of cannonballs directly at him. The cannonballs find their mark, and Godzilla falls to the ground, annihilated. The Elvi are triumphant! The lounge is open again, and the city of Las Vegas toasts the victory. The scene climaxes with people happy, tearful, and merry. Then, a dark, ominous, and very familiar sound…….…Godzilla lives! Godzilla lives! A movement for Rosa”, told the emotional, moving story written to honor Rosa Parks, whose contribution to desegregation still stands today. Not only are strength and determination depicted in this piece, but also the harsh realities of the times. The band kept Alan engaged in this emotional piece until the very last moment. It’s a busy week in the Bandrooms of Ardee Concert Band as both the Ardee Concert senior band and the Ardee Intermetzo ensemble prepare to take part in their respective sections on this coming Sat April 13th in The Artane School of Music, Dublin home to the famous Artane Band. 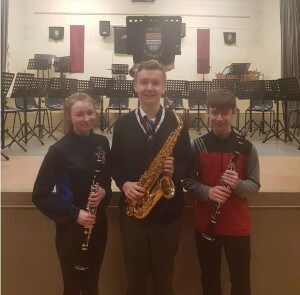 Amongst the busy rehearsals for this years national competitions, there are 4 Ardee Senior Band youth members performing at this year’s Feis Ceoil in the RDS, Dublin on Tuesday April 9th and Wednesday April 10th. 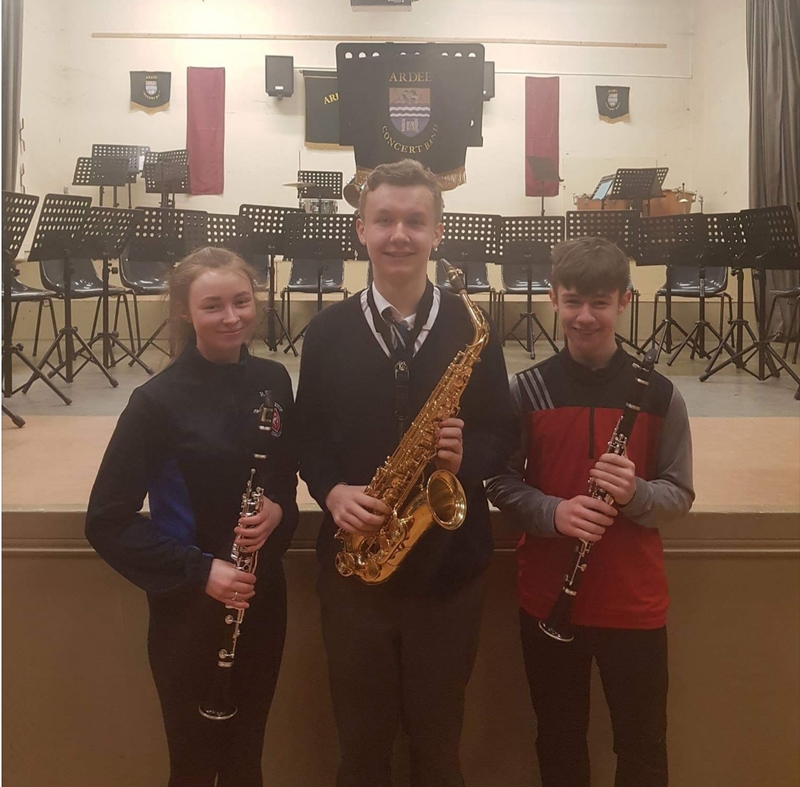 Under tuition from Robert Finegan, Ardee senior band member, Yanagisawa and Vandoren Artist and Technological University Dublin student; Emma Gorman, Ryan Carroll, Roisin Brennan and Óisin Mulryne will all take to the RDS stage over the two days. 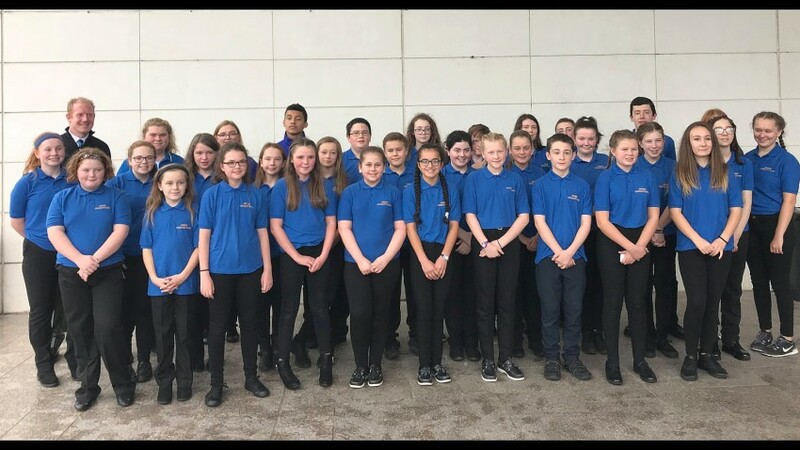 Taking part in competitions of such a high standard gives each member a chance to perform for a crowd and for a renowned woodwind adjudicator. The adjudicator gives feedback which is priceless for the development of young musicians. It also gives them experience of public performance and meeting and hearing other students of the same age from all around Ireland. “This, in my opinion, is extremely important for young developing musicians”, said Robert Finegan. 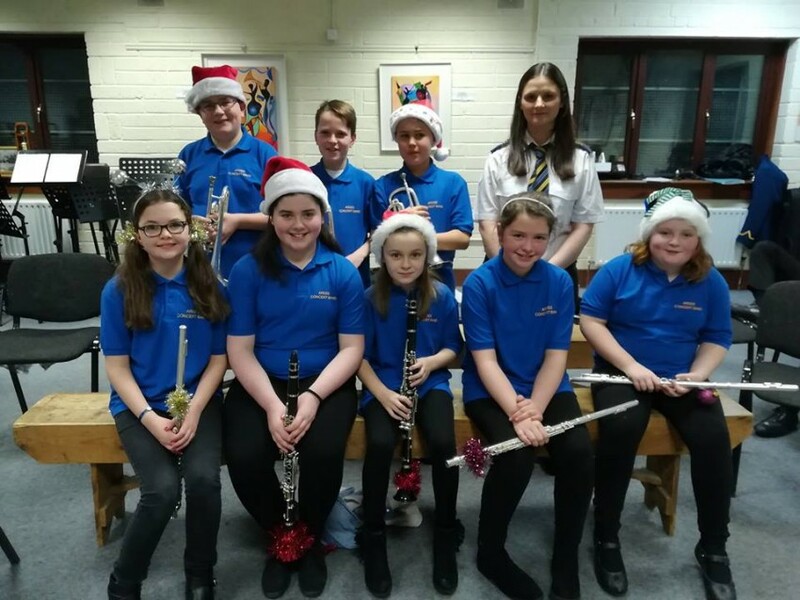 “The committee and all members of Ardee Concert Band wish all 4 members the very best of luck on their performance”, said Band PRO Sinead Nutley. When Ardee and New York meet in Dublin! Our senior Band had a fantastic night on Tuesday night last, Feb 19th in the famous Mahony Hall of the Helix Theatre, DCU Campus, Dublin with the Scarsdale High School wind ensemble from New York, U.S.A.
After the Scarsdale HS symphonic Band took to the stage to perform their programme the band took to the stage next with their programme opening with some of the well known hits from The Jersey Boys, Encanto, a compelling overture, Africa arranged by Jerry Davis and performed originally by TOTO, finishing of the set with an arrangement of The Greatest Showman went down a treat with the theatre audience. We received a standing ovation from the Audience after they concluded their spot under the Direction of our MD Mr. James MacCafferty. Following Ardee’s performance, the US Side took to stage once again with their second ensemble of the evening in the Scarsdale HS Wind Ensemble. During their set the performed 3 pieces two of which were world premiers for the performance of these pieces. The ever so Grand Finale comprised of over 100 musicians from both Ardee and the Scarsdale band combined to play two pieces. 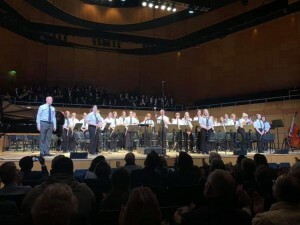 The section opened with the Ardee Conductor James MacCafferty conducting the Irish tune from county derry, popular among Irish People and well known throughout the world as The Londonderry Air. Jason Noble took to the conductors platform to direct the Final Piece Joy in All things by Brian Balmages which was A world premier once again in the performance of this piece. 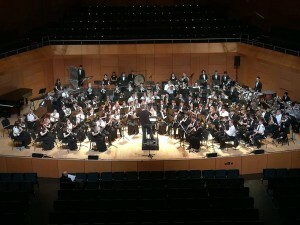 The audience gave a standing ovation for both bands after a marvelous night of entertainment. Members of both bands throughout the night got the chance to mingle and everyone could have a chat away from the atmosphere between performances. The night will be treasured for many years to come by both sides as it was so very enjoyable and many lovely memories being taken home to share and cherish. “Many thanks to Celtic Horizons Tours and KI Concerts in their organisation of the event and towards both bands on the night!” Said PRO, Sinead Nutley. 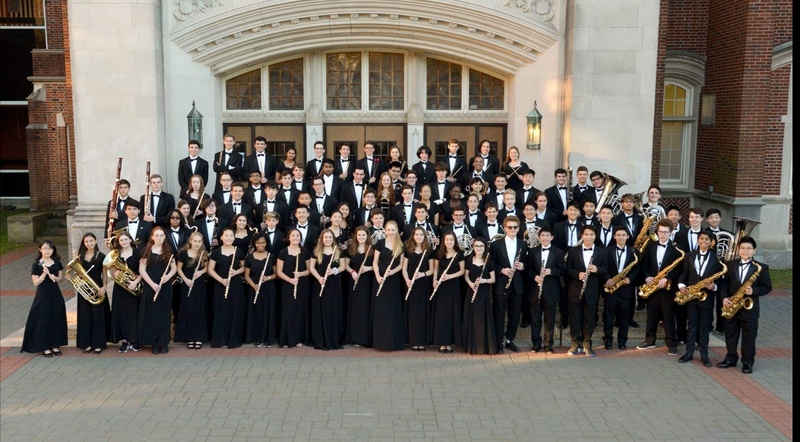 Less than a week to go and we are really looking forward to be performing a Joint concert alongside the Premier Scarsdale High School Symphonic Wind Ensemble, of New York, USA in THE Helix Mahony Theatre on Tuesday 19th February AT 8pm. Performing music from both American and Irish Heritage. Tickets available on the link below, Adults €10 and children €5, booking Fee applies. 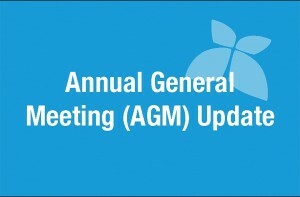 We had a great turnout for our AGM last Monday night at 8pm in our Bandroom on Ashwalk. 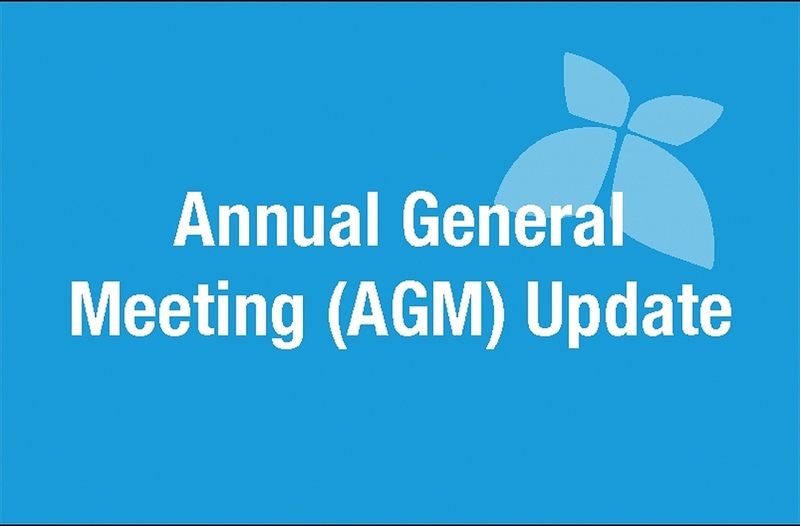 Many thanks to Kevin Reilly for his time as Chairman for 2018 and best wishes to Deirdre as she takes on the role for 2019! 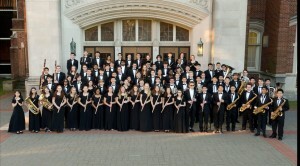 Joint Concert with Scarsdale Symphonic Wind ensemble, of New York, USA in The Helix Theatre, February 19th, 8pm. 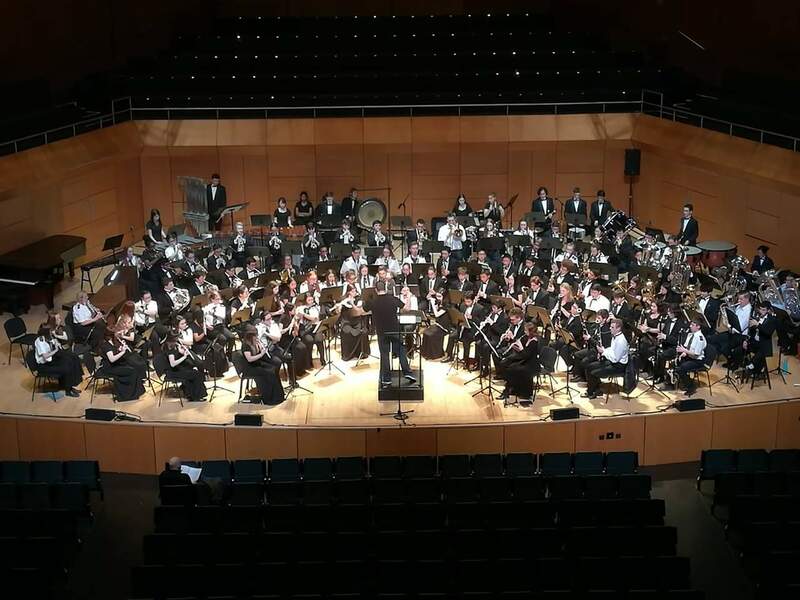 The premier ensemble of Scarsdale High School (New York) will join with one of Ireland’s most successful concert bands, the Ardee Concert Band, in the Helix, on DCU Campus Dublin at 8pm for a night of music celebrating the great music of both countries. “Harmonic Bridges” will feature a number of world premiers by composers Julie Giroux, Patrick Burns, Kevin Sedatole, and Brian Balmages.